Cooking is an essential part of the French culture. Its people take pride in preparing elegant, good-tasting culinary meals that is why France is world-renowned as home of some of the finest cuisines. Parisians take their flair for food seriously from seafood, mountain lamb to game meat. We were served complementary Bread and Amuse Bouche to start off the French meal experience. Here are some of the Hot and Cold Appetizers to choose from. 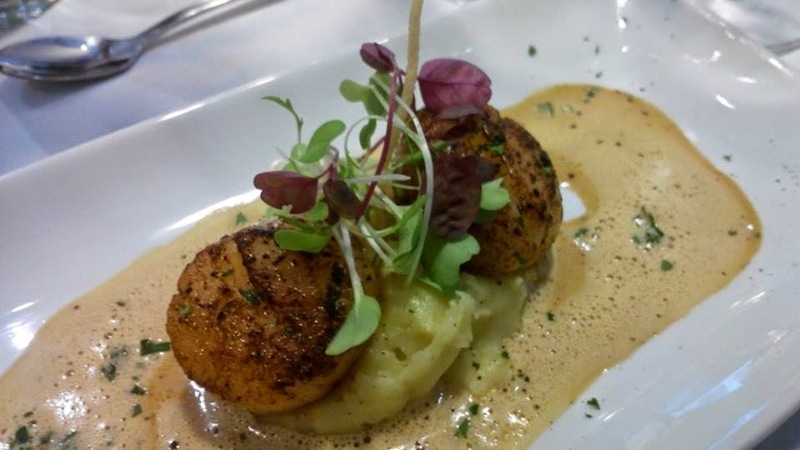 Conquilles St. Jacques Poelees, Puree de Pommes de Terre Aux Truffles is sautéed scallops French appetizer served with mashed potatoes. Escargot de Bourgogne is Burgundy Snails in Garlic and Parsley Butter. These mouth-watering snails appetizer is a perfect pair for crusty bread. It's a meal itself with their thinly-scored baguette. I love to soak up the bread with its buttery juice. 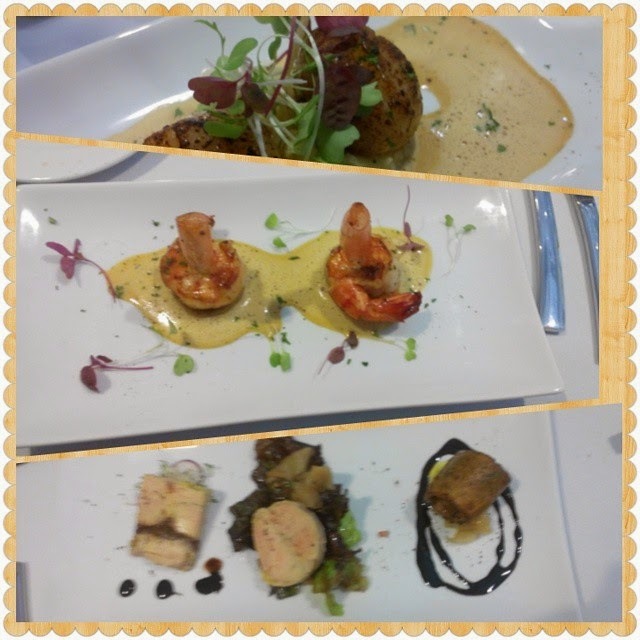 Pave de thon et foie gras poele, sauce aux truffle is Grilled Tuna Steak with seared Foie Gras and Truffle sauce. Filet de Boeuf Sauce Au Poivre is Grilled US Beef Tenderloin with Pepper Sauce. These are hearty-red, savory beef filets. Its sauce makes these fabulous meat cuts taste even better. Souris D' Agneau are fall-off-the-bone Braised Lamb Shanks. I had this for my main course and found the lovely aroma of its succulent meat very appetizing! The tender meat and flavorsome sauce makes it a real winner. 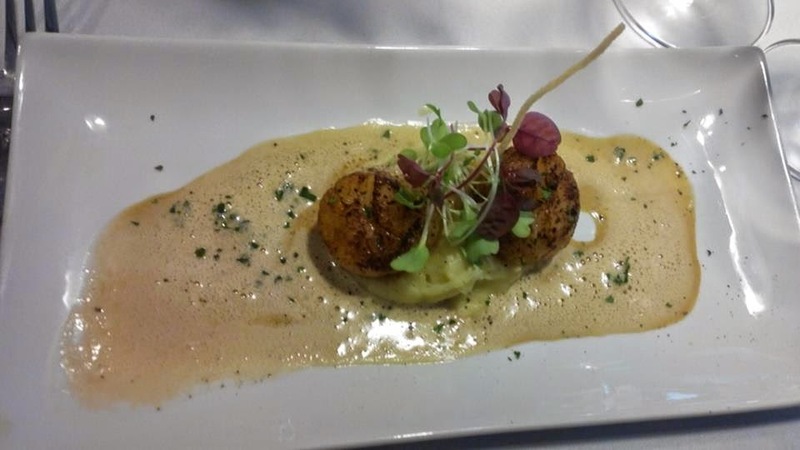 The accompanying Mashed Potatoes complements this superb dish. Coq au Vin is Organic, Free-Range Chicken Braised in Red Wine and Bacon. This French Chicken Casserole comes in a rich and thick sauce. Terrine de Cochon, Farcie au Foie Gras is Pork belly Cooked Sous Vide stuffed with Foie Gras. We were then served a cheese plate after a serving of Lemon Sorbet, a palate cleanser. The in-house cow cheeses came in with baguette slices. 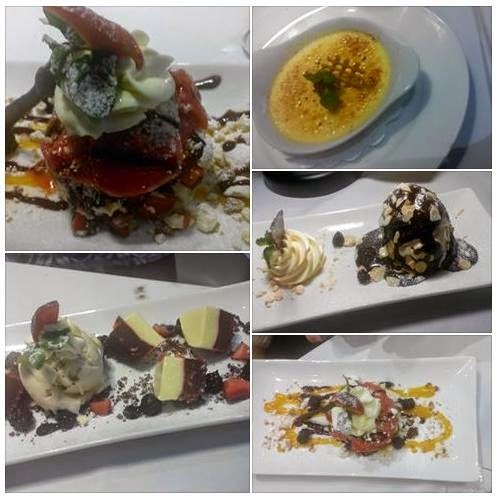 For Desserts, they offer 7 options to choose from. Fondant au chocolat is a decadent French hot pudding dessert with a molten middle. This spectacular hot chocolate pud is simply irresistible! And they serve it with Sebastian's Vanilla Ice Cream for added pleasure! This lovely dessert was very tasty that the plate was cleared instantly! Profiterole au chocolat is chou pastry with chocolate plus ice cream with almond bits. 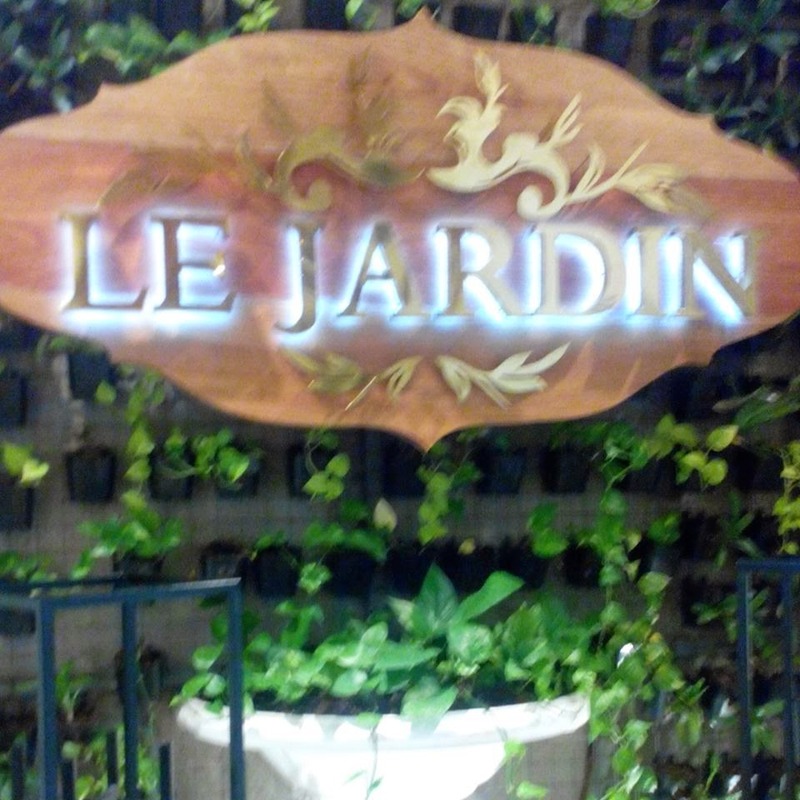 Do visit Le Jardin for elegant food cooked in the classic French way. Along with its incredible French cuisine, Le Jardin makes its own breads, cheeses, and desserts to complement every meal. Savor and appreciate the splendor of French cuisine with a good view of the Metro Manila Skyline! Le Jardin is a perfect place for a romantic date! This sounds like an upscale meal perfect for big or small celebrations! The Terrine de Cochon, Farcie au Foie Gras looks inviting! Worth checking out. The dishes sound delish. :) Would probably try it out with the husband. Yes, Chef Hasset Go came late in the evening to meet us. This is a restaurant for special occasions. I wanna try their foie gras.